Google announced in a blog post today that Google Play customers in the US and Canada will see several upgrades to their movie-watching experience. Any movies youâve previously purchased in SD or HD that are available in 4K will now be automatically upgraded to stream in 4K. If you open the Play Movies & TV app it should tell you which titles have had the upgrade applied. Additionally, Google Play has lowered the cost of most 4K titles â" they used to sit around $30 a pop and now most sit below the $20 mark. 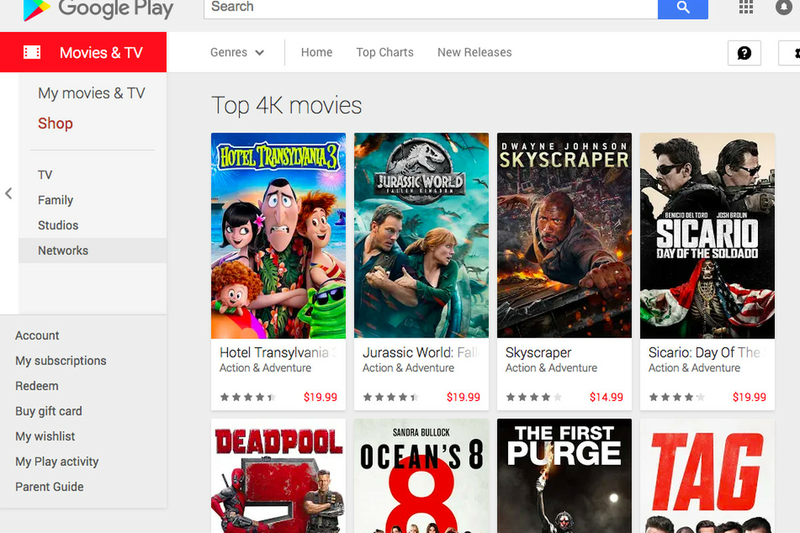 Lastly, Google has expand ed device support for watching titles in 4K with the Play Movies & TV app. Now, in addition to working with 4K Sony Bravia TVs, it also works with most 4K Samsung Smart TVs. The company also says itâs working on adding support for LG TVs.